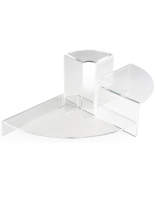 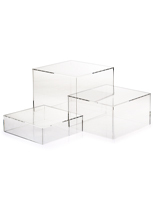 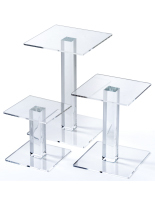 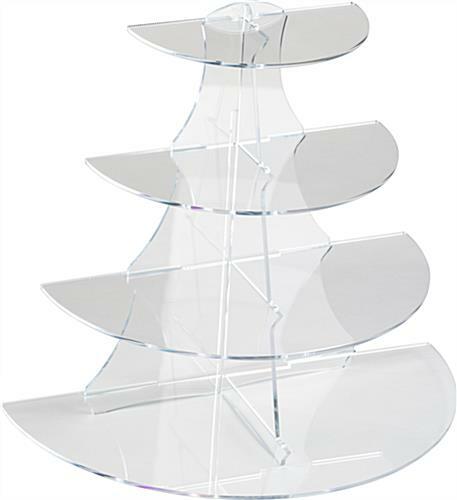 This clear half round tiered stand is made from .25" thick plastic and features an easy-to-assemble design that folds flat for storage or transport. 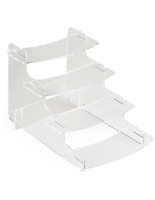 Each 4-shelf rack has a flat back that will sit flush to walls or other supports. 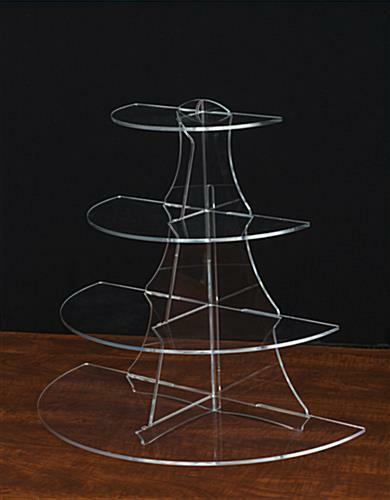 The versatile half round tiered stand has four graduated tiers ranging from 9.25" to 18.5" wide that will accommodate bakery displays, cig accessories, merchandise and more. 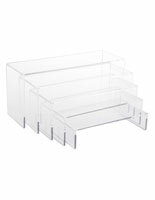 This type of fixture is perfect for use at events or for hospitality or retail display. 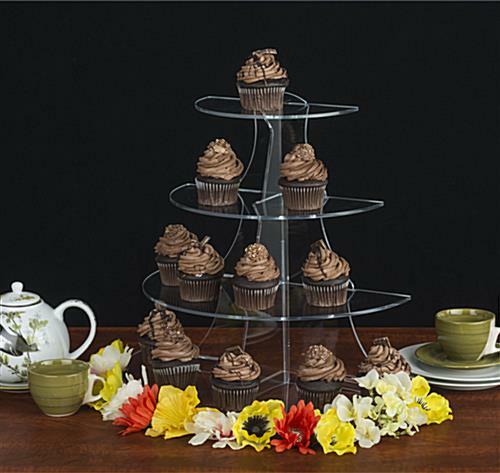 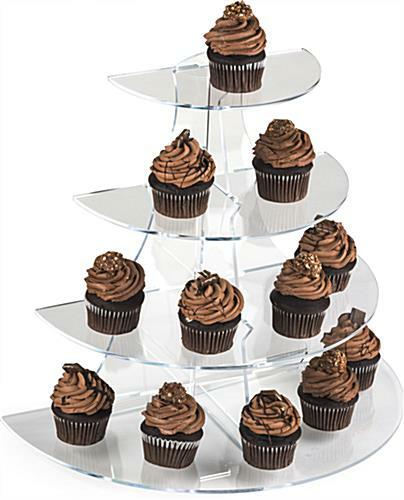 The 1/2-round tiered stand is an ideal way to showcase small products from cupcakes and other bakes goods to products as varied as cell phones, jewelry or e-cigs. 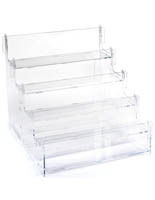 This type of retail display fixture is an economical choice for stores, caterers and event centers alike. 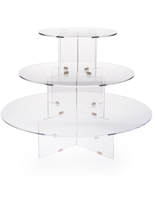 18.5" x 16.8" x 9.5"